Springvale Service for Children Toy Library is part of a new integrated service providing care, education and resources for families and carers in and around the City of Greater Dandenong. The Toy Library is operating under the board of management and located in a purpose built facility in Springvale. Our operating funds are derived from membership fees, fund-raising and applying for grants and donations from many different sources. Many members enjoy a weekly or fortnightly routine of borrowing a selection of toys for their children, taking them home to play with, then returning to change them for a different batch when the children are ready for something new. 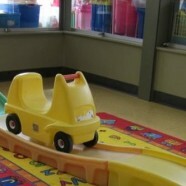 The toy library is a great place to meet other parents and children in your local area. Concession Families(Health Care Card Holders): $35 for 6 months or $65 for 12 months. Members may borrow good quality,age-appropriate toys and equipment to entertain and educate their children, up to 10 toys for a period of 2 weeks with NO duties required. There are more than 1500 items in the collection.